We all knew Seinfeld's Cosmo Kramer was on to something with his make-your-own pie idea nearly 25 years ago. 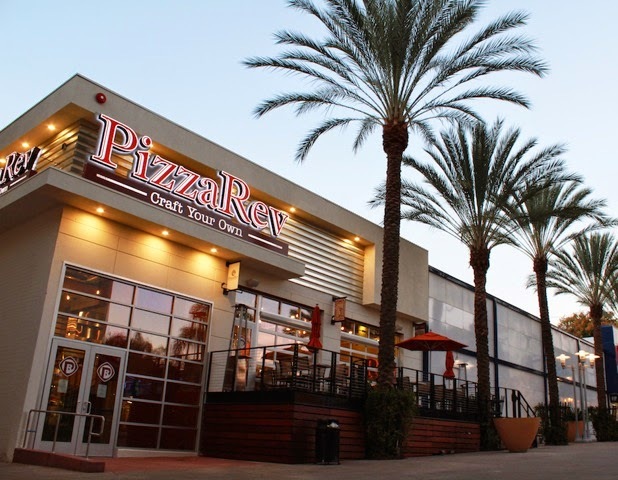 Now, the concept is coming to America's Finest City in the form of two PizzaRev locations. Opening in Scripps Ranch (10393 Spring Canyon Rd.) and Carmel Valley (7835 Highland Village Place) in March 2015, PizzaRev will offer locally sourced vegetables and toppings, fresh pressed dough made in-house daily, all-natural cheeses and vegan and gluten-free options for customers looking to build their own custom pizza pies. PizzaRev’s “Craft Your Own” pizza making process begins with a greeting from a PizzaRev “crafter” who assists each guest in customizing their personal 11” pizza. Construction starts with the crust selection, either original or gluten-free, each one pressed into a thin canvas from a plump, homemade dough ball. Guests then choose from four signature sauces, including a savory organic red sauce, a creamy white alfredo and a spicy-sweet BBQ. Finally, the masterpiece is completed with favorite selections from an array of all-natural cheeses and 30+ fresh ingredients, ranging from traditional toppings like pepperoni and ground beef to premium selections including sweet fennel sausage, fresh-sliced basil and arugula. Each pizza, no matter how many ingredients are selected, costs $8.25. Most unique to PizzaRev, and what enables the restaurant’s unprecedented speed of service, is the custom-built, 900-degree stone hearth oven. Guests watch the dancing flames in the background as their pizzas are fired to an ideal, Roman-style crispiness in less than three minutes. The first location to hit San Diego will open in Scripps Ranch in early March. The concept is spearheaded by franchise owner Stephen Wood, a local restaurant entrepreneur who comes from multiple generations of quick-serve restaurant operators. 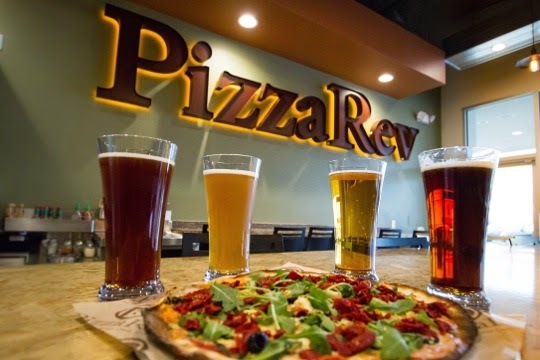 Wood, who has worked within his family’s restaurant syndicate for most of his life, came onboard with PizzaRev in 2013 managing the concept’s first Ventura County location. Wood’s choice to strike out on his own with PizzaRev has been fueled by the desire to bring a better pizza product to his hometown of San Diego. The second location of PizzaRev will follow in March, opening in Carmel Valley. The concept is being launched by franchise owner Chris Kenny, one of the well-known "Kenny Brothers" who own and operate Jersey Mikes Sub Shops in Solana Beach, La Jolla and Pacific Beach. Born and raised on the Jersey Shore, Kenny grew up eating authentic thin crust pizza and immediately saw PizzaRev as "Best in Class" in the new movement of craft-your-own pizza. "PizzaRev reminded me that a perfectly crispy crust, tasty sauce and top notch cheeses make all the difference in pizza," said Kenny. 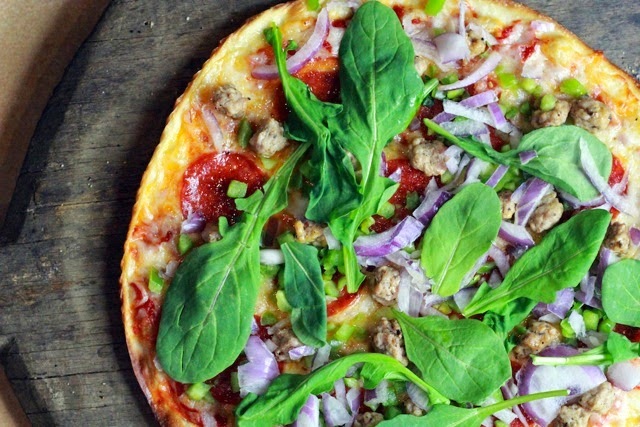 “Even the most creative pizza-craftsman will find what they’re looking for at PizzaRev. We’re excited to serve Carmel Valley a superior pizza along with some of the finest draft and bottled craft beers from San Diego's local breweries." Los Angeles-based PizzaRev was founded in 2012 and is currently franchising and partnering with Buffalo Wild Wings. The company currently has 15 corporate restaurants and seven franchise locations in operation, with additional franchises under development across Washington, D.C. and 12 states. For more information, visit PizzaRev.com and follow on Facebook, Twitter and Instagram.